Success at the Animal Humane Society can be measured in empty cages. Since the organization began requiring an appointment to surrender a pet at the beginning of the year, placement rates for animals have improved from 67 percent to 81 percent. Additionally, the society has reduced the rate of euthanasia by 41 percent. Animal Humane Society CEO Janelle Dixon said interviewing people who are seeking to surrender a pet provides information about the animal that helps it get adopted more quickly. Knowing such simple things as a pet’s age, any health or behavior problems and why the owner is surrendering the pet was not a given eight months ago. Owners could simply drop off the animals – even after hours – and they were placed in cages to await a visit with the vet. When pet owners call to surrender an animal, they speak with a counselor who can help them find resources or make an appointment for the surrender. Animal trainers are available to speak with callers, and many behaviors are relatively easy to fix, Dixon said. So when the owners enter the exam room with their pets, a vet examines the animal and interviews the owner. Staff members can provide resources to keep the animals from being surrendered in the first place. initiative called Bound for Home, the aim of which is to increase the number of animals placed with a new family and reduce the length of stay for surrendered or stray pets.The independent, local nonprofit has raised about two-thirds of the cost of the initiative, major gifts officer Deanna Kramer said. All the money has come from individual donors and foundations as gifts, she said. A behavior helpline is staffed seven days a week as part of the initiative. 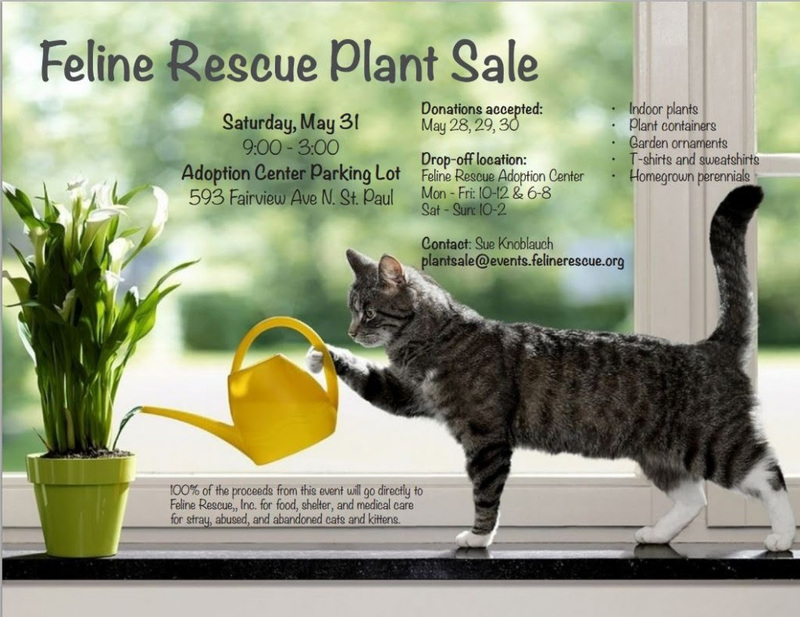 It includes a decrease in the adoption fee for cats older than a year to $50 and a low-cost spay/neuter clinic for the pets of low-income people. Dixon said the organization, which has locations in five cities in the metro area, hired 28 new employees to help meet their goals. On Tuesday, as volunteers walked dogs and prepared for the adoption floor to open, many cages were empty, awaiting arrivals from a downstairs holding area. 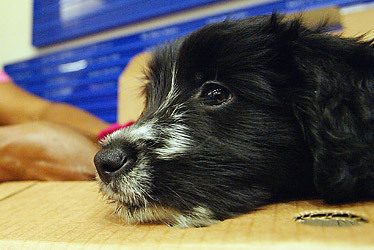 Strays that used to wait in the holding area for a required five-day period to expire are often placed on the adoption floor, where customers can claim an animal before it’s even available to take home. “It’s really encouraging for everyone here to see the animals going home faster,” Kramer said. Last year, the shelter’s Golden Valley location still had pet “drop boxes” where pet owners could shut an animal in a cage in the shelter’s entryway 24 hours a day. Once the door was shut, it locked. Cages contained food, water and litter for cats. The practice was discontinued as part of the new policies, Kramer said, and has contributed to a decrease in the number of “stray” animals the shelter takes in. State law dictates that strays have to be held for five days – in case an owner comes to reclaim them – before being spayed, neutered or adopted. The biggest improvements in statistics have been with cats. A year ago, cats stayed at the humane society an average of 32 days. Now, the average stay is down to eight days. Dixon and Kramer both said they were surprised by how quickly the new policies paid off. Jessica Fleming can be reached at 651-228-5435. Losing a pet is the toughest part about loving a pet, and something we just can’t get around. The fact that they aren’t human doesn’t mean it won’t hurt. So, for many of us, me included, it can be an extremely depressing and difficult time. Good Grief isn’t like other pet loss books I’ve read. Rather than the clinical, “here are the 5 stages of death” and “seek professional help if needed” Sid writes about different ways to deal with the grief and doesn’t judge anyone because of their needs or beliefs. She totally gets that we all grieve differently and need to deal with it in the way that makes most sense for us, as individuals. 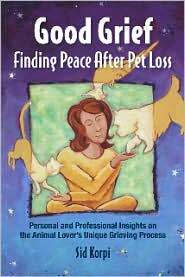 She takes a very gentle, understanding approach to pet loss and grief, and urges us to be kind to ourselves and find what works best. It’s been a year and a half since I lost Tequila but there are times when I miss her terribly. So, even though it’s been a while, I felt comforted as I read Good Grief. I was discussing the importance of the human-animal bond today with my PetPAC colleague, pet photographer Patrick Nau. We noted the current expansion plans for the business Chuck & Don’s Pet Food Outlet, where Nau’s beautiful pet portraits are on display and for whom he does newsletter and advertising photography. What I decided must be a motivating factor is the fact that our companion animals are our “anchors to sanity.” (Patrick really liked that phrase.) With them we find a relationship wherein we get out of it much more than we give, no matter how much we give. What work or interpersonal relationship can consistently boast that? Being around our animals lowers our blood pressure, reduces our stress, makes us feel unconditionally loved and accepted, gives us a sense of being necessary to another living being, etc. Is it any wonder we place such a high value on this relationship? I usually do not send out group emails. I need your help. 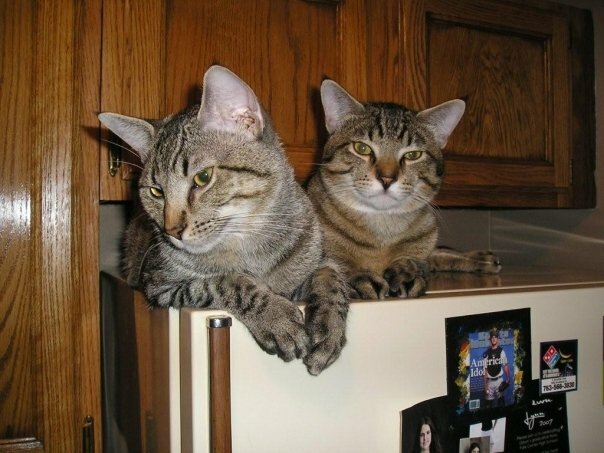 My friend’s brother died suddenly and tragically, and she is trying to find a home for his cats. 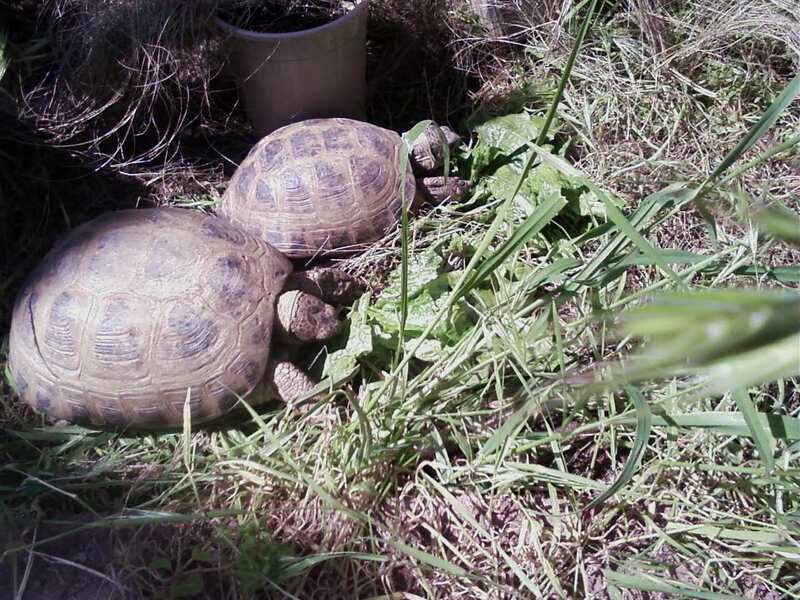 They are both males (siblings) named Maximus and Marcus, they are 4 years old. Short-hair breeds, very handsome and sweet and very loving. I attached their picture. Please feel free to pass on this information. Interested parties can contact me at 612-237-9580. He lost his wife only 6 weeks ago and his cat died shortly thereafter– he needs the boys and they need him so I think it was meant to be. I want to thank you for your efforts in trying to help me find them a home… I am so grateful. As pet owners, we’ve all been faced with, or will eventually face, the agony of making end-of-life decisions for our pets. Sometimes it’s because of an illness, other times it may be due to the natural aging process, but whatever it is, it never makes the decision any easier to make. While euthanasia for humans is still forbidden in Singapore, our pets’ lives are not bound by the same rules. So how do we decide what is better for our beloved pet? Many pets suffer with chronic diseases, such as cancer, that can often be managed in such a way that life is prolonged, although the quality of life is greatly diminished. For most pet owners this issue greatly influences the decision concerning euthanasia. Certainly, quality of life is a personal judgment; you know your animal companion better than anyone else. And while your veterinarian can guide you with objective information about diseases, and even provide a personal perspective of a condition, the final decision about euthanasia rests with you. Of course, whenever there is a chronic condition, some days will be better than others and one should learn to expect the natural “ups and downs” that attend most chronic disease conditions. You must determine what balance is acceptable for your own situation. Speak with your veterinarian if you have any questions or concerns regarding the diagnosis or treatment of your pet’s disease. If your pet is taking medication for a disease condition, ask your veterinarian if side effects of the medicine could be involved with any adverse symptoms such as lack of appetite, vomiting or diarrhea (but DON’T stop giving prescribed medication until you speak with your veterinarian). Sometimes it is the medicine, not the disease, that makes a pet appear more ill and adjusting the dose or changing the medicine can have a very positive effect. Most pet owners are given the following options for witnessing the procedure. They may be present with the pet during the euthanasia. They may wish to see their pet after euthanasia. Or they may want to say goodbye to their pet before the euthanasia and not see their pet after the procedure. Burial at home. Many people who own their homes chose to bury their pet in their yards. Great care must be given to bury your pet deep enough – at least three feet – to deter predators. It is recommended to wrap your pet in plastic and place several large rocks on top of their remains before covering with earth. Many cities have ordinances against home burial so check with your local officials before laying your pet to rest. Cemeteries. Similar to human burial, a casket and headstone are selected. Services are available with or without viewing of the remains. Ask your veterinarian or check your local telephone directory to find a nearby pet cemetery. Cremation. Typically, cremation is available in most large cities. Some crematories will privately cremate your pet so you can save the ashes for scattering, burial or storing in an urn. Check with your veterinarian about contacting an animal crematory center. Other options. There are a few nontraditional choices available regarding the handling of pet remains. Some people choose to consult a taxidermist and others may be interested in cryogenics, which involves freezing the remains. Research and many telephone calls may be necessary to find sources for these options. Carolyn Sharp’s beloved greyhound Starr was 4 years old when she was diagnosed with a deadly form of cancer. Sharp decided the two of them would stay together as long as Starr was not suffering too much. The greyhound received radiation treatments and pain patches for several months until the veterinarian told Sharp it was time to end it. 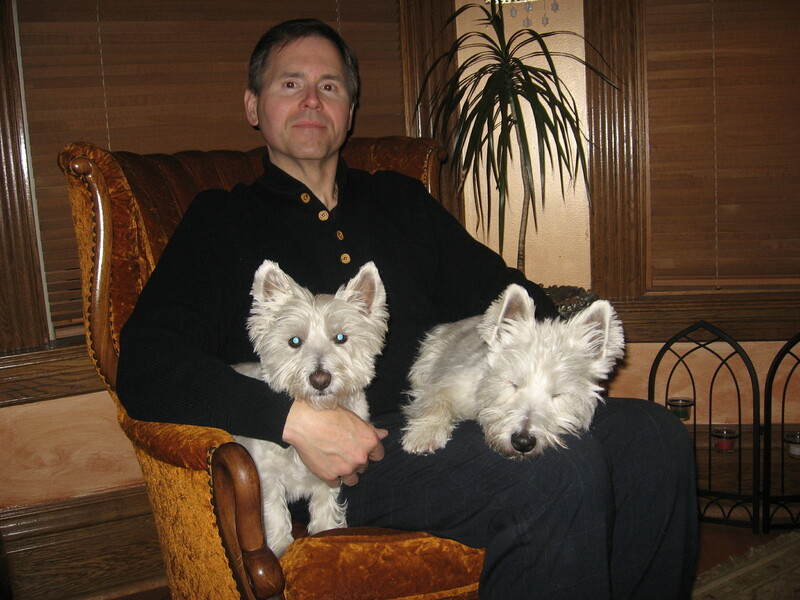 Jack Vinyardi of Kansas City, Mo., an ordained interfaith chaplain of pets, said he is asked that question all the time as he comforts people about to lose or who have lost a pet. He tells them there is no faith that claims to know unquestionably what happens to animals when they die. One writer, mourning the loss of his dog, said recently that there are no souls or a heaven and that the departed, including his dog, exist only in people’s memories of them. MUSLIM The Qur’an contains no direct references to an afterlife for animals, said Muslim scholar Abdalla Idris Ali of Kansas City. But there are indirect references. One says that in paradise people will be given everything they have asked for, he said, “so indirectly, if they want their pets, they can have them with them.” Islam also teaches that God will be judge of people and animals, Ali said. “For example, he will charge an animal that has horns who took advantage of one that didn’t have horns, and that horned animal will be turned to dust after taking him to account for what the horned animal did,” he said. AMERICAN INDIAN American Indians believe all creatures are interconnected, said Gary Langston of Kansas City, a Northern Cherokee. “All living things are children of the Earth,” he said. “It doesn’t matter if we have feet or wings or roots. “So, yes, there is an afterlife for animals. We all are going home, back to the Creator. And, yes, people will see their pets again. The dog I had as a kid, his spirit never left me; he just moved into a different dimension.” Langston said he believes that when he dies he will move into the dimension where his dog is, and they will be in the spirit form together. The companionship, friendship and love that humans and their pets share in this life will continue to be shared in the afterlife, he said. A similar view comes from Linda Prugh of the Vedanta Society, an organization based on a Hindu philosophy. She said animals have souls, but unlike humans they do not have the ability to reason and discriminate between right and wrong. Animals go from birth to death to birth again and slowly evolve into higher forms, eventually reaching the human plane, she said. The goal of life is to realize one’s true divine nature, which is one with Brahman (all-pervading Godhead), and to see that divinity in every being and every thing, Prugh said. “So our pets, whom we love and take care of, should be treated as manifestations of the divine,” she said. A strong case can be made for keeping the elderly united with their pets. 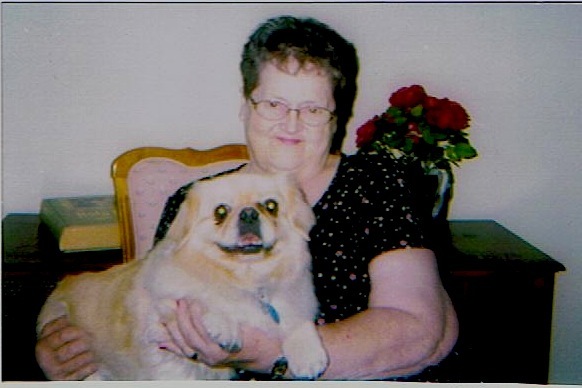 I had a dear (now deceased) friend who was forced to move into an assisted living facility and be parted from her beloved Pekingese Zeke. Clearly bereaved from losing not only her home but her pet, my friend’s emotional and physical health deteriorated swiftly, so much so that she was forced to move to an advanced care nursing home. The only good thing was this new nursing home allowed her to keep Zeke. He, in fact, became the “house dog” and enjoyed the run of the whole facility, frequently visiting other residents and beloved by all. 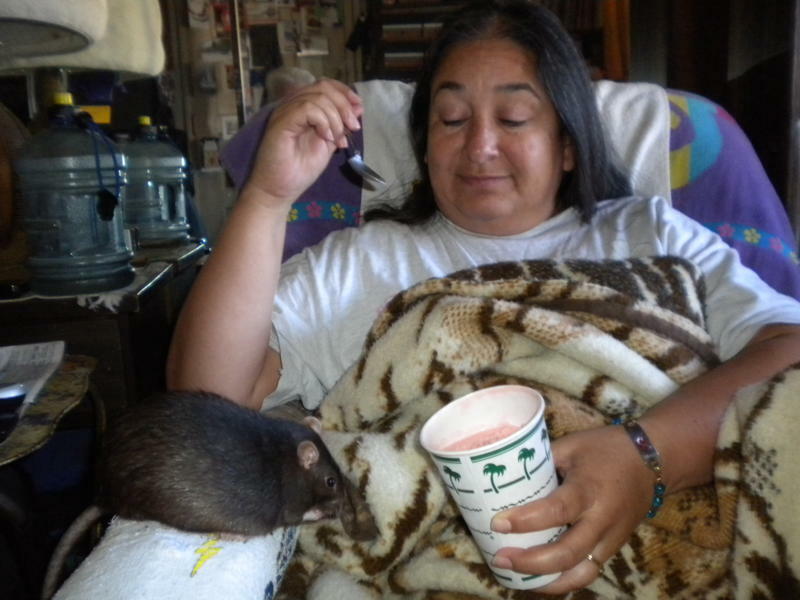 My friend Mavis was able to die in her own room with Zeke by her side. As I wrote in a story in my book “Good Grief: Finding Peace After Pet Loss,” Zeke was so protective of/worried about leaving his human mama, he would growl (very uncharacteristically for this sweet dog) whenever we tried to get him off the bed to feed him or take him outside. He wouldn’t eat or drink for nearly two days. 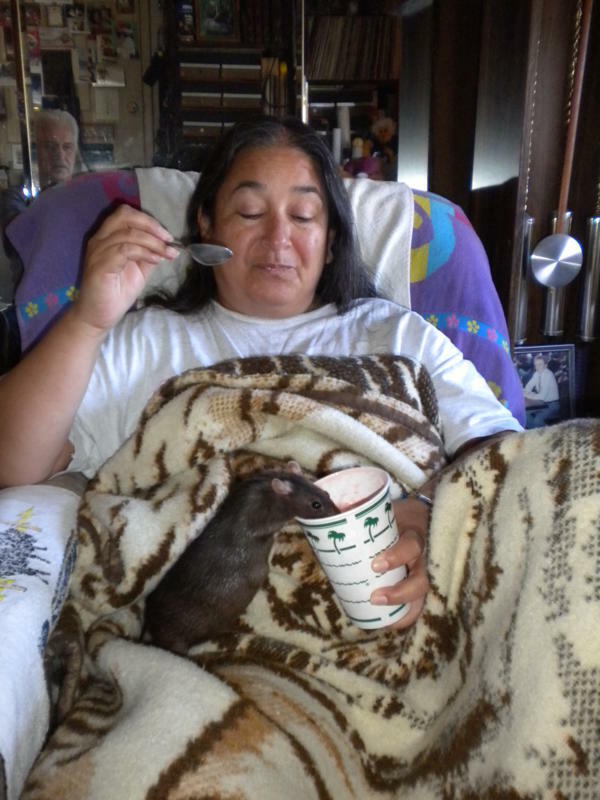 For Mavis’ part, though in hospice care at the time, she felt she couldn’t “let go” until all the details were taken care of regarding who would adopt Zeke when she died. She made arrangements with her foster daughter to take her dog, and you could feel the weight that had been lifted from Mavis’ shoulders. Shortly thereafter, when Mavis did finally pass, Zeke immediately became chipper again and willingly leaped down from her bed, eager to eat, drink, and go for walks again. It was as though, once she was freed of her body, Mavis’ spirit was able to reassure Zeke that all was again well and he could stop watching over her. This, to me, illustrates the depth of the human-animal bond and our ability to communicate with one another even after we’ve left this physical life. Imagine Mavis’ ongoing suffering, and Zeke’s as well, if they’d been forced to be apart at this crucial time of transition. I hope someday all senior living centers will accept the benefits of pet ownership vastly outweigh any inconveniences and will allow their residents to remain united with their animal companions. The following article from K9 magazine illustrates my point still further.